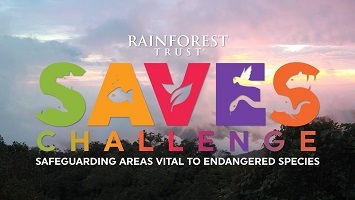 The Rainforest Trust is partnering with local conservation organizations to create new protected areas and expand existing ones for Critically Endangered and Endangered species under the SAVES Challenge. As part of the SAVES Challenge, the Trust is committed to directing $100 million toward creating new protected areas to save the world’s most endangered species. Through the SAVES Challenge, Rainforest Trust has the capacity to match, dollar for dollar, projects that target the establishment of protected areas for priority as Key Biodiversity Areas (KBAs). The Trust is especially focused on projects in KBAs with globally significant populations of critically endangered (CR) and endangered (EN) species so we are interested in exploring partnerships with local conservation organizations interested in establishing new protected areas in places that have either been formally recognized as KBAs or would trigger a new KBA on further evaluation. For more information, please visit Rainforest Trust.